This image captures a typical scene in a South Asian village. The invitation arrived from Suchit Nanda, a talented Indian photographer who shoots men, women and scenes from different cultures and societies as he moves around Asia and elsewhere. 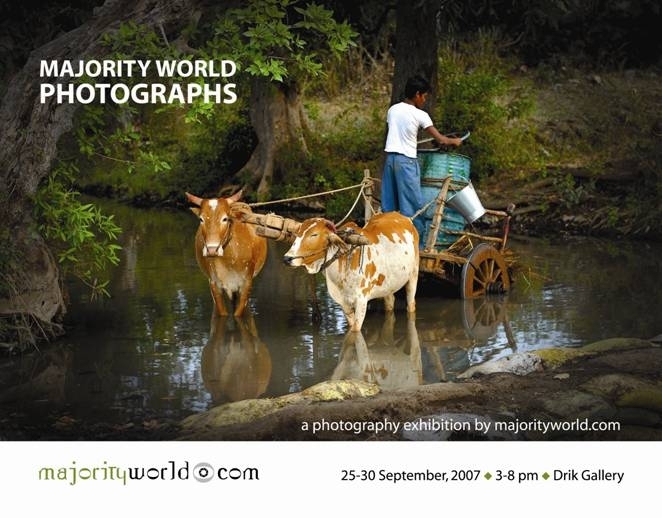 Suchit’s work is being marketed by MajorityWorld.com, a new global initiative founded through the collaboration of The Drik Picture Library of Bangladesh and KijijiVision in the UK to champion the cause of indigenous photographers from the developing world and the global South – the Majority World! “Very few published images of the South are taken by local photographers. They are invisible and don’t get a fair deal. This is what kijiji*Vision is campaigning to change,” says Colin Hastings of kijiji*Vision, a co-founder of Majorityworld.com. By coincidence, just this week I’m involved in buying some photographs from Drik Picture Library to illustrate an Asia Pacific resource book on Communicating Disasters that TVE Asia Pacific is compiling. It is being co-authored by Frederick Noronha and myself, and due for a December 2007 release. Whether in photography or videography, the global South – or Majority World – has to speak for itself. Our still images and moving images must tell our own story. But try doing this in the commercial worlds of publishing or mass media, and suddenly we are competing in an extremely unfair and uneven playing field. Astonishingly, many development agencies – including the UN – don’t commission or acquire the work of talented Southern photographers or film-makers. Talk about not practising what they preach! In an essay titled Communication rights and communication wrongs written in November 2005, I criticised the globalised media for persistently using stereotyped images of the South — captured mostly by northern photographers and camera crews. This short film, Fair Trade: The Story (8 mins) has been produced by Eq.tv (Equilibrium Television). It’s very well made, with great use of images and sound, and powerfully sums up the complex issues around fair trade in an accessible manner. The best part: we don’t feel it’s an activist film, even though fair trade is, by definition, progressive and activist. What is your power as a consumer? The film, produced in association with TransFair USA and TinCan Productions, begins with this question. Fair trade is certainly a cherished ideal, but it’s mired in complex economic and political realities. The globalised march of capital, profit-maximising multinational corporations and developed country farm subsidies are three among many factors that made fair trade difficult to achieve in the real world. Difficult, but not impossible. Determined producers and consumers have shown over the years that they can connect to each other, ensuring greater fairness and justice in transaction. That’s the power of the consumer. Now here’s another kind of fair trade that I have been advocating for a long time: Fair Trade in Film and Television (FTinFT for short). It’s high time we started promoting this as another plank in fair trade activism. Let me explain. In the media-rich, information societies that we are now evolving into, media and cultural products are an important part of our consumption — and therefore, more of these have to be produced. In the globalised world, more television and film content is being sourced from the majority world — or is being outsourced to some developing countries where the artistic and technical skills have reached global standards. But in a majority of these media production deals, the developing country film and TV professionals don’t enjoy any fair terms of trade or engagement. Their creativity and toil are being exploited by those who control the global flow of entertainment, news and information products. This is why the top talent in the global South become assistants, helpers and ‘fixers’ to producers or directors parachuting in to our countries to cover our own stories for the Global Village. Equitable payments and due credits are hardly ever given. 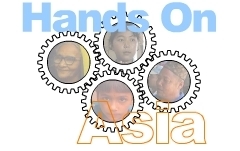 I personally know many award winning film-makers in developing countries across the Asia Pacific who have been engaged on such unfair, uneven terms. Lacking sufficient market opportunities and trade unions in their own countries, these professionals have little choice but accept the occasional assignment that comes their way from BBC, CNN, AJI or other global players. Remember, film-makers have families to feed too. Unfair trade in film and TV is also how the unsung, unknown creative geniuses contribute significantly to the development of new cartoon animation movies or TV series, as well as hip video games that enthrall the global market. Lacking the clout and skill to negotiate better terms, freelancers and small companies across the global South remain the little elves who toil through the night to produce miracles. They work for tiny margins and even tinier credit lines. Some don’t get acknowledged at all. If you think this is inevitable in the big bad world of profit-making business, hear this. I also know some western charities that champion global justice who are equally guilty of repeatedly exploiting southern film-makers — sometimes, ironically, to produce documentaries about social justice issues! Even as they cover stories about fair trade practices in coffee or cotton, these entities practise unfair trade in their own industry. I can cite many examples. 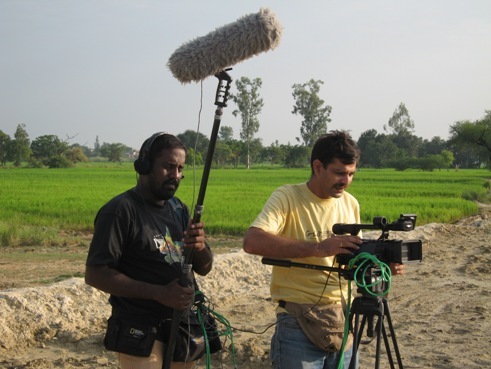 Last year, the London-based Panos Institute approached me for recommendations for development-sensitive film-makers in two Asian countries where they wanted to implement some training programmes. I asked if the professionals I can gladly recommend – whose skills are on par with any western counterpart – would be paid international rates. Panos backed out saying they can only pay a local rate, which they felt was good enough. Then there are UN agencies who always haggle with local film-makers over rates and fees. The same agencies that happily commission PR media agencies from Madison Avenue for hundreds of thousands of US Dollars would ask southern film-makers to donate their time, or work at a reduced fee, for the United Nations causes! Local rates for local talent is simply not good enough if their work contributes to an international media effort. Southern film-makers and photographers, who lack opportunities to roam the planet looking for stories and work, should be engaged on fair, international rates in any media venture whose products will be consumed globally. I’m proud to say that TVE Asia Pacific practises what I preach here. We are small time commissioners of southern film-making talent, but we always pay international rates, and engage local talent in every country we work in. And they get due, proper credit in all our productions. This, then, is the essence of Fair Trade in Film and Television that we must advocate and agitate for. As long as the story tellers of the global struggles for social justice are themselves excluded from the story, there can be no fair trade, or true global justice. There is now an urgency to address FTinFT because Media Process Outsourcing (MPO) is emerging as a growth industry. May 2007 news: India’s InfoSys and TV18 set up MPO firm. Let me return to the question frequently posed by fair trade activists: What is your power as a consumer? Now ask that question as a consumer of media products on TV, video, DVD, web and mobile devices. Don’t take anything for granted. Don’t accept the lofty PR claims of big time (or even small time) producers and peddlers of media content on how ethically they have sourced or made this content. For a start, look carefully at where stories have been made, and whether local film and TV professionals get proper, on-screen credit. And write to the big players – 24/7 news channels, cartoon corporations and others – demanding to know their fair trade policies and practices in content creation and sourcing. Make the same demands on the United Nations agencies peddling media products on their social causes. See how many of them will stand a simple test: do they engage southern film-makers to tell stories of development and social justice in the South? If not, why not? And if you are in a position to decide on commissioning a new film, TV or video product, please consider engaging local talent — but pay them international rates if your product is going to cross borders (these days it very likely will). We have a long way to go to achieve Fair Trade in Film and Television. Let’s get moving! Meena’s uncle has arranged for his daughter Rita to marry Babu, a shopkeeper’s son. But Rita is only 15 and has not yet finished school. With Meena’s help, it comes to light that Babu, who is studying to be a doctor, does not want to get married yet, especially since he knows it is unsafe for young girls to become mothers. To everyone’s satisfaction, the marriage is postponed until Rita is 18 and has completed her education. That’s the storyline in Meena: Too Young to Marry, which is part of the hugely successful cartoon animation series Meena, which Unicef produced with leading animation houses in South Asia during the 1990s. It was part of the Meena Communication Initiative. Its central character is Meena: a spirited, nine-year-old girl, living in a typical South Asian village, facing all the usual challenges of growing up — whether in her efforts to go to school, or having enough to eat, or in fighting the stigma surrounding HIV/AIDS in her village. In a sub-region where many families still favour boys over girls, life is not easy for Meena, but she finds ways to not just cope but flourish. Now comes the news of a real life Meena in Bangladesh. Alo Amar Alo is the name of a live action television drama series that promotes girls’ education in Bangladesh. Launched in July 2007, it is currently running on Bangladesh Television, BTV. Alo Amar Alo (“Light My Light”) centers around a girl named ‘Alo’ who stops going to school when she completes Class V. Throughout 26 episodes, the story follows Alo as she struggles to overcome life’s challenges through the support and friendship of a renowned actress. Playing the role of Alo is 13-year-old Shimu, who suddenly finds herself the star of the country’s most popular television series. 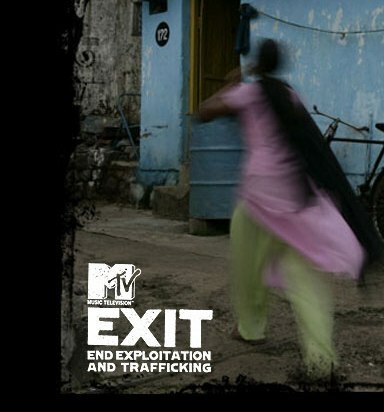 “As in Latin America’s telenovelas and many African and South Asian TV dramas, story lines in Bangladeshi programs are often infused with messages decrying social ills such as child labor, domestic violence and early marriage. Many of the shows are low-budget productions funded by nonprofit organizations or the government. Shimu’s show…is funded by the Education Ministry and UNICEF; actors receive modest stipends. Being a TV star has not changed Shimu’s life, says Washington Post writer Emily Wax. Even though Shimu is on television, her family does not own a TV set. She and her friends watch the show at the theater group’s center. Her grandfather, Mohamed Siddiq, 61, is quoted saying he wants Shimu to stay in school but is worried that she may end up marrying or working, since their family is being evicted in a month and has no savings. The Alo Amar Alo series is funded by Unicef and the Ministry of Education in Bangladesh. It’s part of a communication strategy which includes interactive popular theatre shows, folksong performances, wall paintings and Meena Communication Initiatives. “These have been extremely effective in raising awareness on the value of education as well as reaching the remote corners of the country through the mass media. Parents have shown more willingness to send girls to school. The increase in the enrollment of girls has also been the impact of multiple awareness raising campaigns,” says Unicef Bangladesh. But big challenges remain. The Washington Post article draws parallels between the character Alo and child actor Shimu. One concern is I have why Unicef is exploiting a child actor without adequate pay. The article refers to actors receiving ‘modest stipends’. If Shimu was paid better for her natural talent as well as considerable time she doubtless spends on acting in Alo Amar Alo, surely that can make a difference in one child’s life? Or is that not statistically significant for Unicef? This is Ozzy Ozone. He is an energetic, cheerful little ozone molecule – part of the ozone layer in the upper atmosphere that prevents the Sun’s harmful ultra-violet rays from coming through. Today, 16 September 2007, is a day to celebrate Ozzy Ozone. Because it’s the 20th anniversary since the nations of the world adopted the Montreal Protocol to phase out chemicals that harm the ozone layer. It was a landmark international environmental treaty — one which has galvanized governments, industry and society into sustained action for two decades to give using close to a hundred chemicals, all of which – when released into the air – go up to damage the ozone layer. Ozzy Ozone has been part of the many-faceted public education programme mounted by the UN Environment Programme (UNEP) to tell everyone how harmful UV rays are to our health, and how Ozzy and his fellow ozone molecules are literally protecting life on earth from being zapped out. In this video, Ozzy Ozone and Alberta the Albatross take a voyage of discovery to find out exactly who and what is attacking the ozone layer and how children can play an important role in making a difference. Ozzy himself is now 10 years old. He was created by a graphic artist in Barbados, as part of a government-supported campaign to raise public awareness on ozone layer thinning. This cartoon character served as a “mascot” and was very effective in raising awareness in Barbados. The cartoon series has been printed in the local newspapers on several occasions. Additionally, promotional items produced for local public awareness and education campaigns using the Ozzy graphic include posters, key rings, rulers, erasers, refrigerator magnets, mouse pads, pens, pencils, stickers, and envelopes. The character was enduring and popular that UNEP struck a deal with Barbados to ‘globalize’ Ozzy. An animated video was produced, along with a dedicated website, comic strips and other media adaptations.